Oneida NY - As the Section 3 season starts heading into its' championship season, only a select few meets are available to hit the quick sectional standards. Several teams had quick performances to guarentee their spot in the competition. 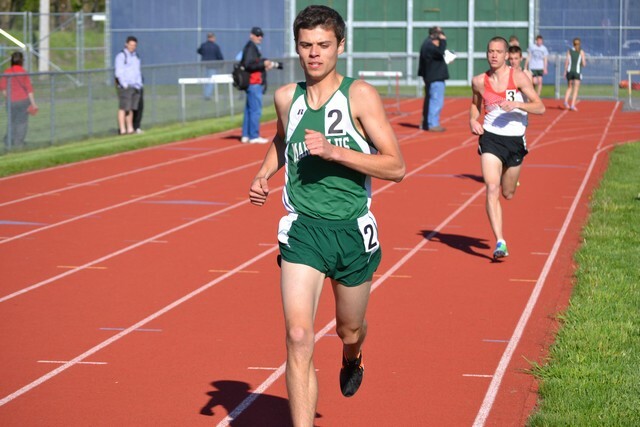 Junior Nick Ryan of Fayetteville-Manlius has been quietly etching his way into the leaderboards, as several of his dual meet performances had served as State leading in the early season. 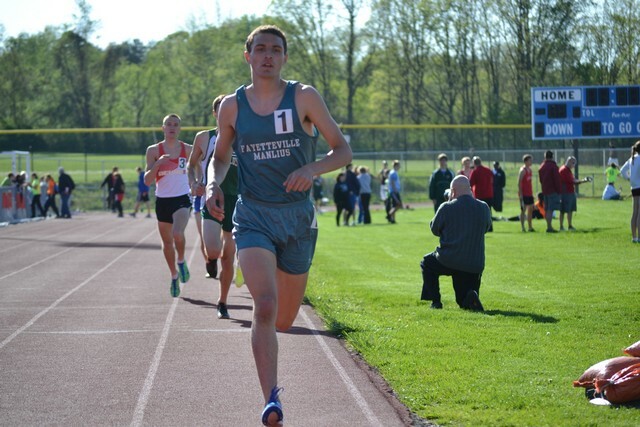 Avoiding any big downstate invitationals, he has the fastest time for the full mile in 4:14.46, despite Watkins faster converted 4:13.32 from this weekend. 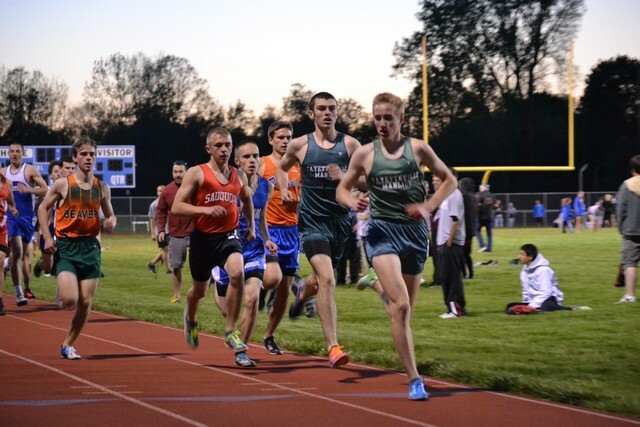 Hopping onto the track at Oneida, Ryan again proved to be a medal threat at states in the distance events, as he completed 3200m in a then-state leading time of 9:04.18. It wasn't until about an hour after that race that the state leading time went to Dan Lennon of Peru, in a much faster field at Loucks. 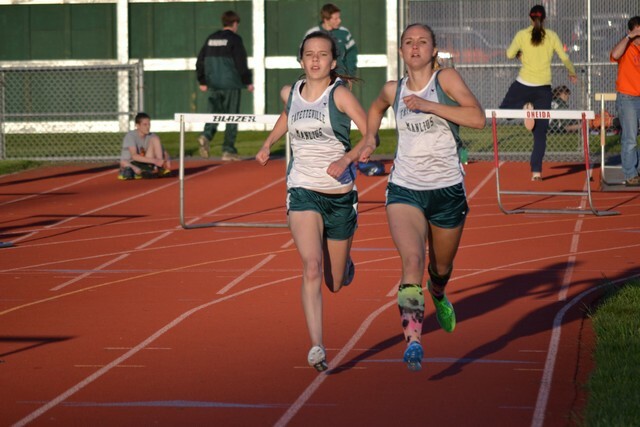 The FM hornets returned to the track in the girls 3000m as well, to take both 1st and 2nd, as Alana Pearl took the gold in 10:19.55, followed by Michelle Duffy in 10:25.88. The FM girls continued their succes as the distance decreased. Over 1500m, it was Jillian Fanning to take the win, in a reserved 4:43.44. 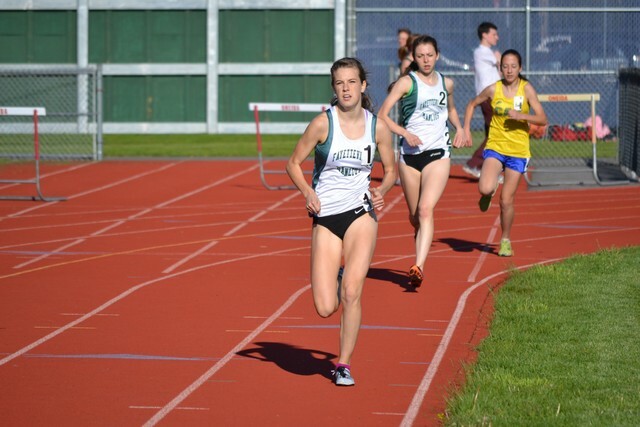 Dropping down even further in the 800m, Fayetteville-Manlius again took the top two spots, as Katie Sischo won in 2:17.84, followed by teammate Hannah Smith in 2:18.51. 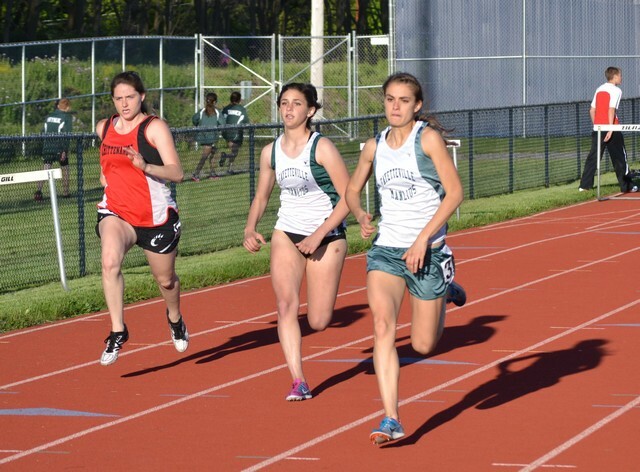 Success was again found in the 400m for the hornets, as Heather Martin, who split a very fast 55.4 last year over 400m, won the open event in 57.43, followed by Olivia Ryan in 61.14. Back to the boys, Freshmen Bryce Millar (pictured second below) found himself in a very promising position. His 1st place finish in the 1600m, at 4:21.36, made him the "fastest freshmen in the country" over that distance. 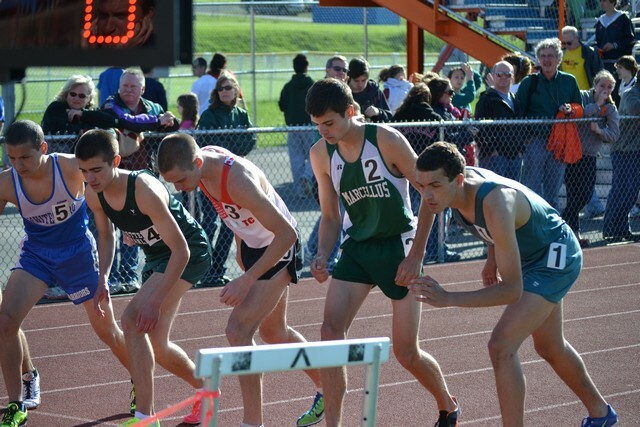 However, much like Ryan's state leader, that distinction was replaced by the downstate actiona at Loucks, as Marco Pomilj went 4:17.6 the next day.